A League Retreat is an Abbey sponsored program. The schedule includes conferences organized by the monks of Saint Joseph Abbey, common prayer and reconciliation. This is a silent retreat. All league retreats share an annual theme for reflection and prayer. Whatever your spiritual search, these prayful themes will help nurture and guide you. The league retreats are open to all. 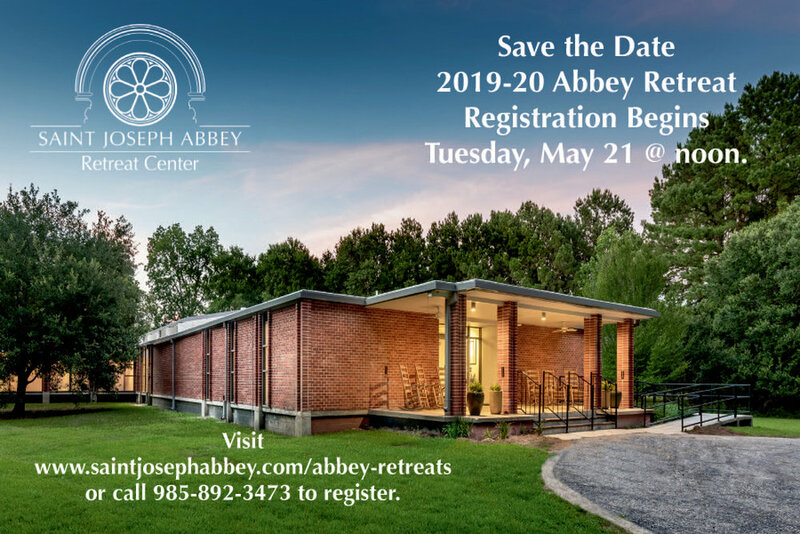 Thank you for your interest in the Abbey Christian Life Center and the schedule of league retreats for Men, Women, Married Couples, and Mixed Groups (retreats open to men and women). Click here to register for league retreats for men. Click here to register for league retreats for women. Click here to register for league retreats for married couples. Click here to register for league retreats for mixed groups (retreats open to both men and women). League retreats begin with your arrival at 4 p.m. on the first day and end with lunch on the last day. Click here to view the weekend schedule. All meals and linens are provided. There are 30 guest rooms. Each room includes a queen bed, sleeper sofa, private bath and individual temperature control. You are welcome to join the monks in prayer in the Abbey Church. If you need more information on a specific retreat please contact the retreat captain listed in this printable brochure. The minimum offering for Monday-Thursday retreat is $337.50 per person single occupancy or $325 per person double occupancy. The minimum offering for Married Couples retreat is $395 per couple. A $50 per person non-refundable deposit is required to secure your reservation.